Special Containment Procedures: A 4500-liter pool of sea water located at Bio-Research Area-12 is the current research location of SCP-171. Though not immediately dangerous, minimal physical contact between secretions of SCP-171 and its hosts are to be observed. All communications between hosts and researchers are to be recorded and transcribed. Human hosts are to be fed a vegan diet of their choosing. Other animal hosts are to be fed appropriately. Fresh sea water is to be cycled into its tank regularly. Description: Originally, SCP-171 was thought to be a colony of microscopic organisms similar to SCP-968 or SCP-165, but further investigations revealed SCP-171 to be a single entity spanning 300 square meters when first encountered. SCP-171 is a web-like matrix of small, fine tendrils of neurons, mucous glands, and muscle fibers suspended in a frothy foam of its own creation. It is not capable of self-locomotion and does not actively attack or feed on other living organisms; rather, it attempts to form a symbiotic relationship with all organisms it comes into contact with. Flagella of the muscle surrounding the neural fibers work mucus, sea salt, water, and other secretions into bubbles, forming a large foam support. Any creature that spends a significant amount of time in contact with the matrix of SCP-171 risks becoming integrated into a collective consciousness sustained by it. 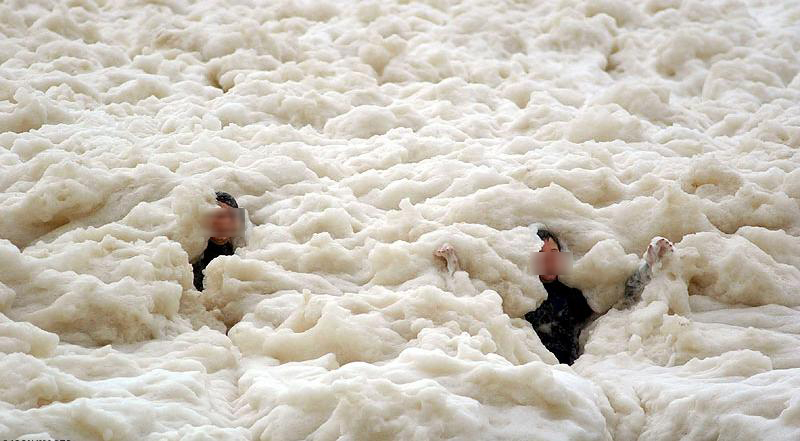 People who become covered in SCP-171 foam describe a "tingly" or "tickly" sensation experienced, which researchers have observed as threads of SCP-171 tunneling through the skin to directly integrate into the subject's nervous system. In time, the simple motor neurons of subjects are expanded into an elaborate, two-way positive communication nexus, allowing the brains of hosts to communicate with each other and the entity of SCP-171. Over time, the individuality of subjects are incorporated into and shared with others of the SCP-171 matrix, resulting in a collective consciousness in which individual personalities are non-existent. There are currently 19 human subjects host to SCP-171 (11 civilian, 8 class D personnel). Subjects are capable of traversing the foam without losing conscious contact with the collective as neuroreceptors on the subject's skin form to allow chemical communication between the subject and SCP-171 much in the same way terminal axons communicate with dendrites in the brain. These receptors on the skin look like small white to clear moles, slightly raised and very sensitive to touch. Some subjects disappear into the foam of SCP-171 and are not seen again for several months. It is unknown how they survive without fresh water or sustenance. Other hosts include: 2 Australian porpoises (originally 4), 4 beach gulls (3 have been euthanized), 41 fish of various species (euthanized for study), 27 beach crabs (euthanized for study), and 1 canine. Within two hours, most subjects begin forming neuroreceptors on the skin and receiving neural contact with SCP-171. After three hours, a psychological bond has been established between subjects and the collective. After 6 hours, a complete integration and dependency on the collective has evolved. At this point, removing the subject from contact with SCP-171 results in manic and violent behavior along with eventual complete psychological breakdown of the individual, leading to a vegetative state of mind (4 individuals have been lost in this manner). When interviewed, all subject hosts speak with the same core collective consciousness as if they were parts of a single entity. The collective is aware of itself and its composure of diverse individuals, and even laments the loss of each individual persona. SCP-171 tells researchers that it understands what it is, but not where it came from, explaining that its own intelligence and the intelligence of the hosts it incorporated were too simple to understand or remember its origin. Researchers noted the change in SCP-171's personality after integrating Class D personnel and chose not to allow inclusion of violent, ill-willed, or malevolent personnel from that point on. SCP-171 has expressed that through meditation and understanding, it chooses to avoid the consumption of other animals when possible. 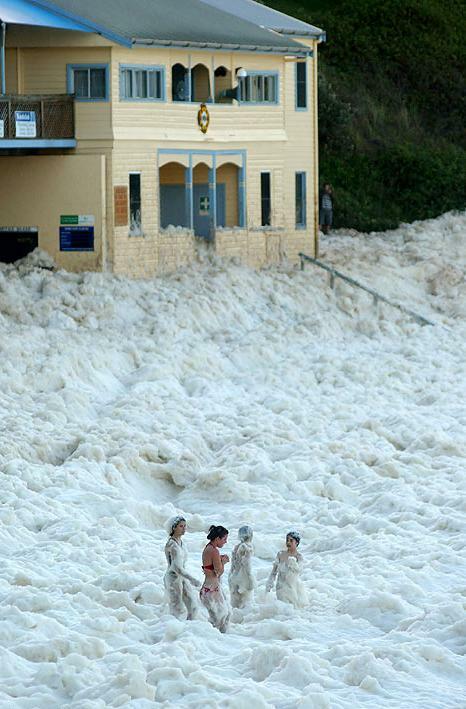 Addendum 171-1 SCP-171 was first encountered by beachgoers and surfers on August 12, 2007, along the Australian coastline near Yamba, New South Wales. 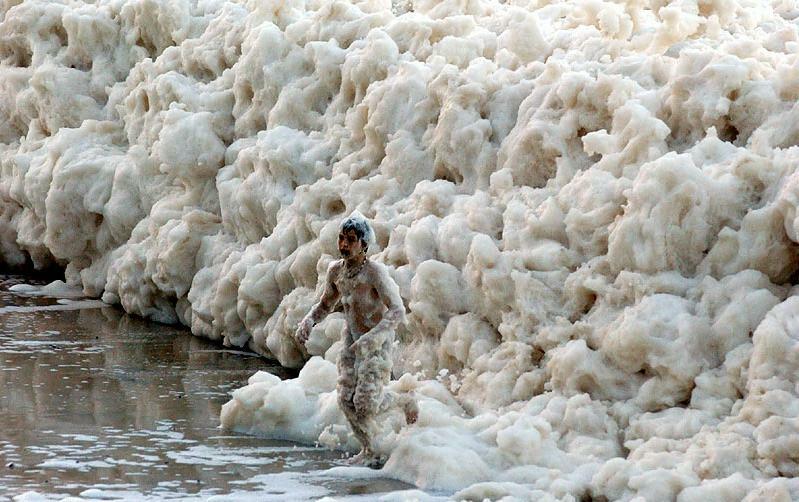 When civilians playing in the foam began experiencing abnormal skin conditions, CDC officials contacted SCP personnel when they were unable to explain the anomaly. Addendum 171-2 Personnel who wish to be voluntarily integrated with SCP-171 must first be subject to a complete psychological evaluation to ensure sound mental health, with special emphasis on possible disconnection from humanity and potential suicidal tendencies. They are to be repeatedly warned that such integration is permanent, and that no evidence exists to show that SCP-171 in any way exhibits a state of 'higher consciousness', or indeed a consciousness significantly different from our own. If subject persists in wishing to be integrated, and has been shown to be making the decision in a state of sound mind, then they are to be permitted to do so.